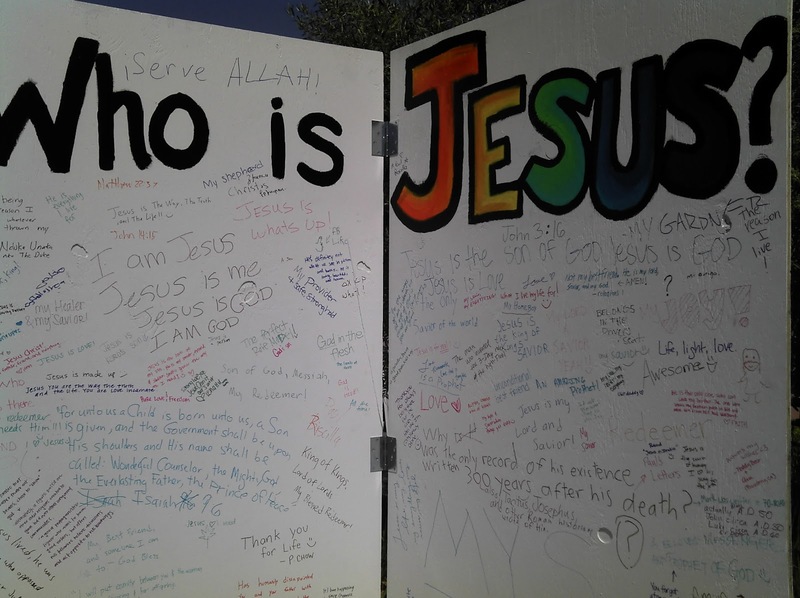 Last Thursday night I spoke to a group of students at UC Irvine about our conceptions, opinions, ideas, preferences and misconceptions about Jesus, as well as what Jesus has to say about himself. 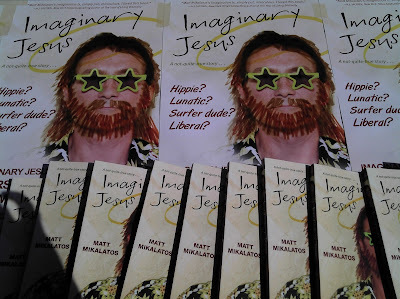 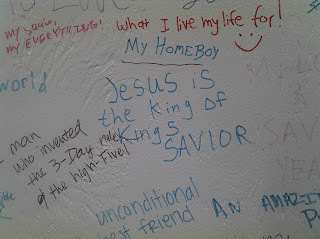 The Campus Crusade for Christ staff and students who put on the event did a great job, asking a lot of their friends to come as well as spending much of the week hosting a "graffiti wall" where people could write out their answers to the question "Who is Jesus?" 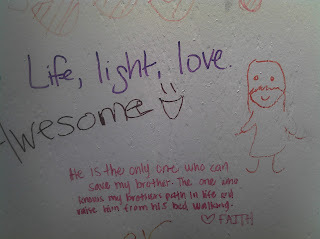 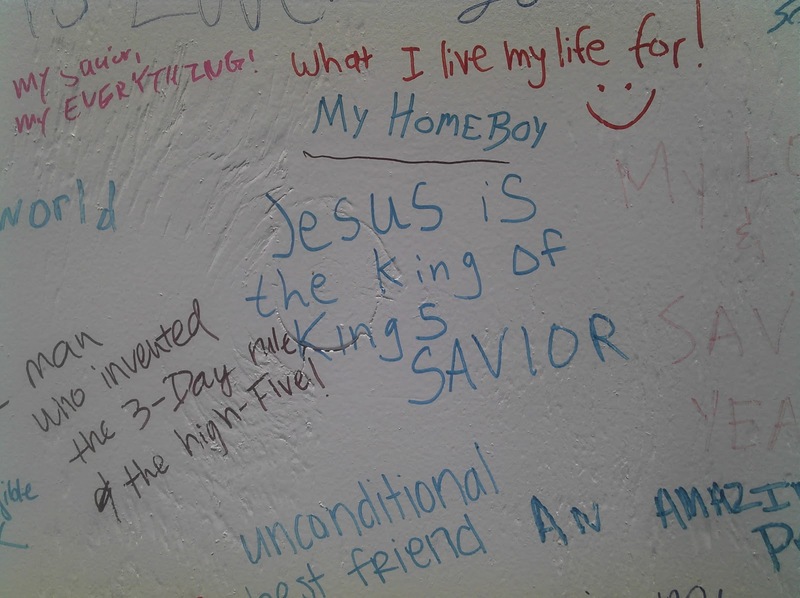 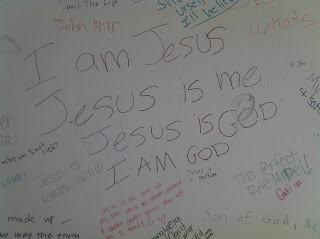 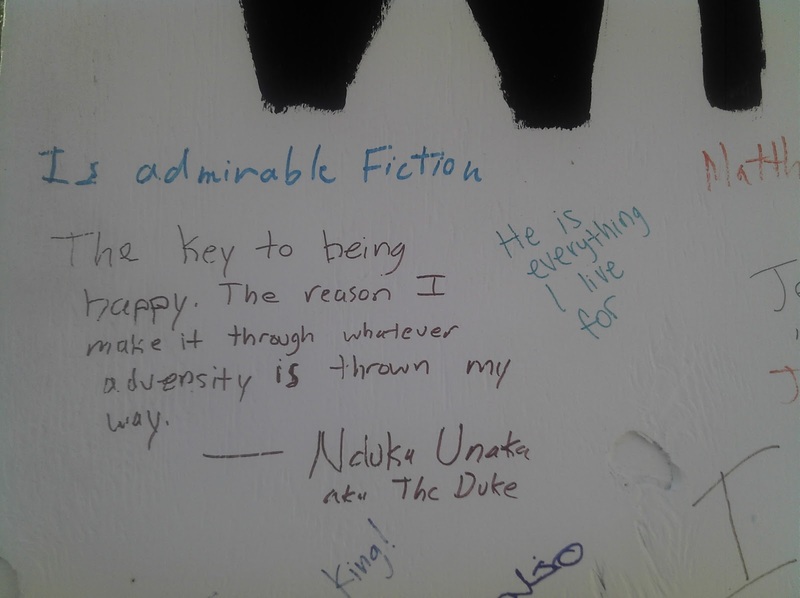 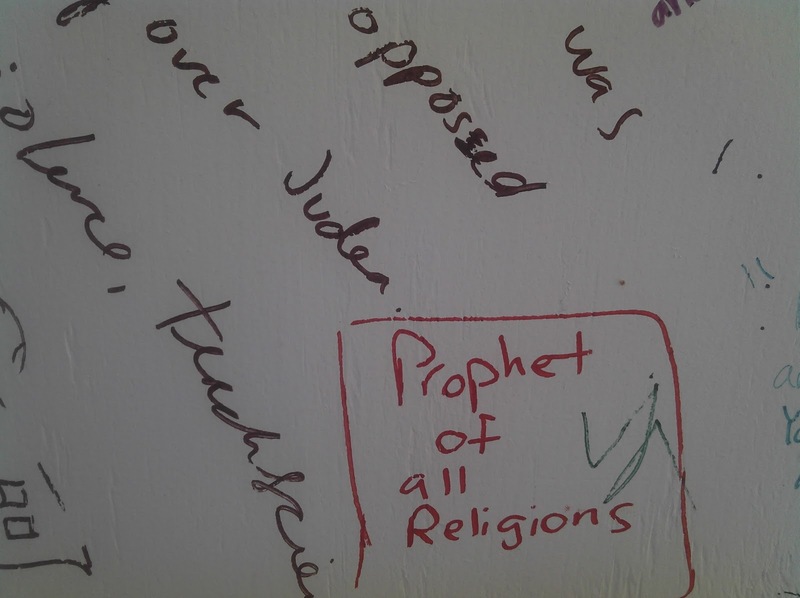 Throughout the week, students were encouraged to put their thoughts about Jesus up on the "graffiti wall" on campus. 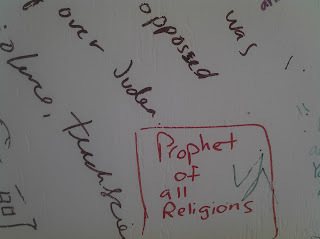 The team had made great posters and handed out copies of IJ to interested students.